Home » The Sacred Feminine » Emotions » Are you Feeling Alone and Abandoned? Celebrate Ocean Day and my Birthday with this magical story Do you hurt for your friend like this? Humans explain our world and our role in that world through the creation of story segments called Story Fields. These include interpretations, beliefs and contextual responses that become the story running through you and generating your life scripts. Often the script running in your subconscious is nothing but an old, learned limiting story that goes against your hopes, dreams and even your talents and values. Story Alchemy helps you to use your creativity and storytelling to change that story of limitations that is feeding your isolation into the story of you living your brilliance and being fully supported by the universe. into alignment with your Higher Divine Self, click here. There are times when you feel utterly alone, unsupported, as if you had been abandoned by the universe. Unfortunately, these are also the times when you need support the most. You are often going through loss, confusion or transitions. The loss, fear and loneliness combine to create a mood of despair. You feel marked by misfortune, as if there was something wrong with you that had attracted ill fortune. At these times, your loss seems to grow and engorge everything: a sickness leads to job loss. A fight leads to divorce. A betrayal leads to isolation. And you feel that you have been pushed into a BIG 0, a huge zero. Your life is diminishing. You are diminishing. 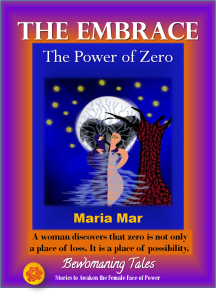 This shamanic story reveals that the Place of Zero is also the place of possibility. Follow Sola in a journey to retrieve her Soul, release her abandonment and find her Sacred Self. This shamanic story is a journey. In this journey you will go through several transformations. You will feel your energy moving from desolation into surrender, then into self-acceptance. You will then summon the courage to meet the Shadows stealing your light; until you break through and land in another dimension of yourself, where you finally embody the radiance of your True Self. Enjoy a powerful feeling of being connected to the Divine, of co-creating your life with the Universe and of having everything you need to create what you want. READ MORE. I have designed a series of Enhancement Add-ons that allow you to transform the story into a private support program at whatever level you need, all at a fraction of the cost of a high-end program. From posting private questions and getting customized answers, to private journal writing guidance to a Platinum Level Support, you can choose as little or as much support as you need. Private Sessions: For this story, I have also included two private sessions ~ live, face-to-face via Skype~ where I can help you shift from aloneness to alignment. What are you waiting for? Get out of that lonely pit! READ MORE. This leads to Gumroad, our safe and secured online bookstore.